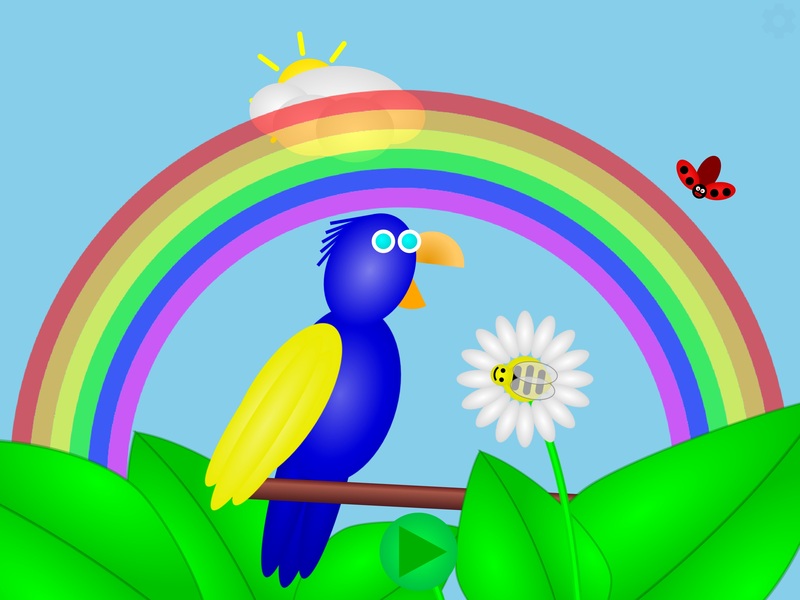 Parrodee is a cute, fun app designed for young children. Parrodee repeats what your child says or sings songs on a playlist in a funny voice. Your child can interact with a ladybug, cloud, rainbow, sun, and moon. Drag colours from the rainbow to change Parrodee's colours. Tickle Parrodee's belly to see what happens. You can set the day and night time to use the app as a sun clock to help your child know when it is time for bed or time to wake up. You can also select different playlists for daytime and nighttime and change the pitch of Parrodee's voice. Parrodee (parody talking parrot) trademark and copyright © GoldWave Inc.